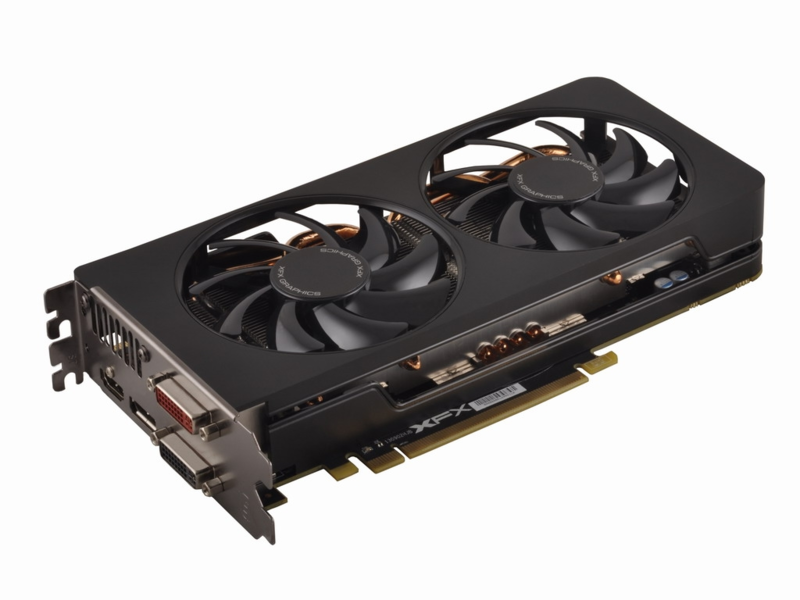 For gamers who demand the very best, AMD Radeon R9 270X graphics shatters ordinary GPU performance. 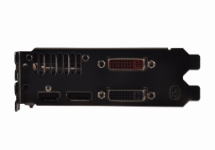 Groundbreaking GCN Architecture pushes your performance to insane levels while ultra-resolution gaming take you even deeper into the action. There’s optimization, and then there’s Mantle technology. Games enabled with Mantle speak the language of Graphics Core Next to unlock revolutionary performance and image quality. XFX's exclusive dual fan double dissipation design utilizes two larger fans which run at slower RPM than comparable single fan solutions which must run at much higher RPMs just to barely achieve the same cooling needs. 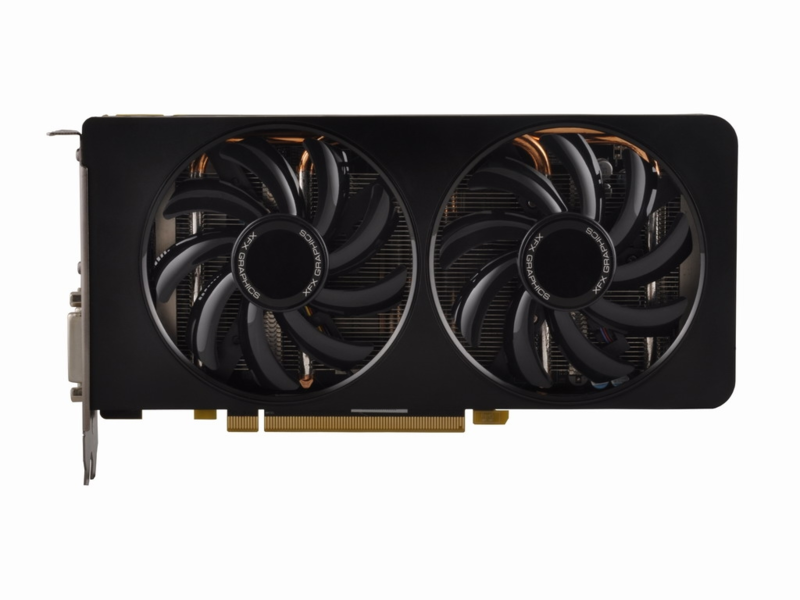 Because of this design, XFX is able to achieve up to 13db lower noise than the competitor while simultaneously increasing the overall cooling by 7°C. 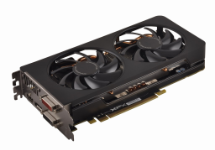 XFX graphics cards offer the highest tesselation capabilities while still maintaining the highest performance. We don't sacrifice one for the other so you can expect to get the riches detail in your games without slowing down your gaming experience. See bumpy roads, textured fabrics and realistic rippling waters with high tesselated graphics from XFX. MSAA smooths out the jagged edges of a curved object. A black curved line on a white background displayed on a computer screen will have some jaggedness along its edges due to the inherent limitations of using discrete pixels to display the image. Anti-aliasing smooths out this jaggedness by filling in the white spaces between the jagged edges with varying shades of grey which gives you the smooth soft shadows, crisp sharp lines of buildings, and crisp tiny details in clothing that make your experience truly realistic. Take advantage of the 3D Physics capabilities of some of today's newest titles which include completely destructible objects, walls and buildings collapsing from gun fire, real particle effects such as fire that react to the environment and realistic details such as moving hair, water and much more. Radeon is faster. Radeon is immersive. 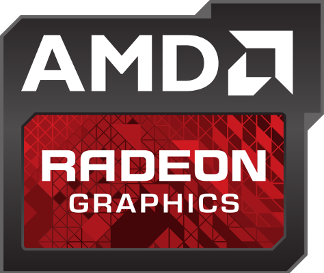 Radeon is gaming. For gamers who demand the very best, AMD Radeon R9 270X graphics shatter ordinary GPU performance. 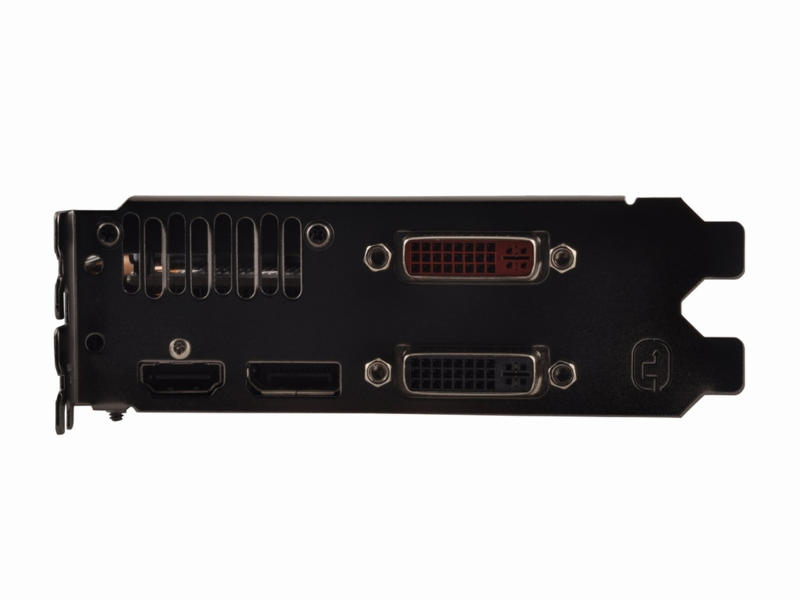 Groundbreaking GCN Architecture pushes your performance to insane levels while ultra-resolution gaming take you even deeper into the action. With Ultra Resolution Gaming you can leave HD in the dust by gaming on displays much, much larger. Whether using a 4k monitor or combining multiple HD monitors, you'll get an expansive experience that's truly out of sight.